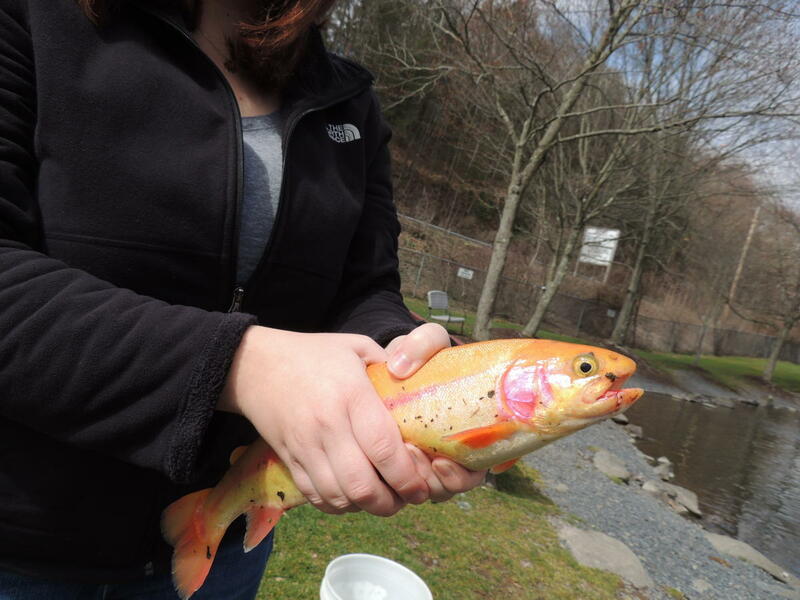 April showers don’t just bring May flowers; all this rain means the fish are biting in the Pocono Mountains! Trout season has officially opened, and our bait is ready for the taking. The 150 lakes and 170 miles of rivers of the Pocono Mountains welcome everyone from novice anglers to seasoned pros. We visited Big Brown Fish & Pay Lakes to try our luck and provide helpful hints on fishing. Browse below for Big Brown&apos;s rules and tips. Big Brown Fish & Pay Lakes allows you to bring your own fishing equipment; just no minnow bait please. If needed they provide fishing rods, and bait for a nominal fee. All patrons pay an entry fee: $3 for adults, $2.50 for seniors, and children 12 & under are free. Before fishing at one of their three lakes, be sure to grab a bucket to hold all of the fish you’ll be catching. Big Brown Fish & Pay Lakes stock their lakes with their own trout and bass from their hatchery. Some of their lakes are stocked more than others, but you must remain on land to fish. After casting your line, be sure to reel it in enough so the line isn’t loose. This way when a fish bites, you’ll be able to pull back on your line, and begin reeling your catch in. Reeling a fish in takes some practice, and we found patience and persistence to be most important. The trout were surprisingly strong, and some even took the bait off the hook! After a few stolen baits, we caught two golden trout and two rainbow trout. 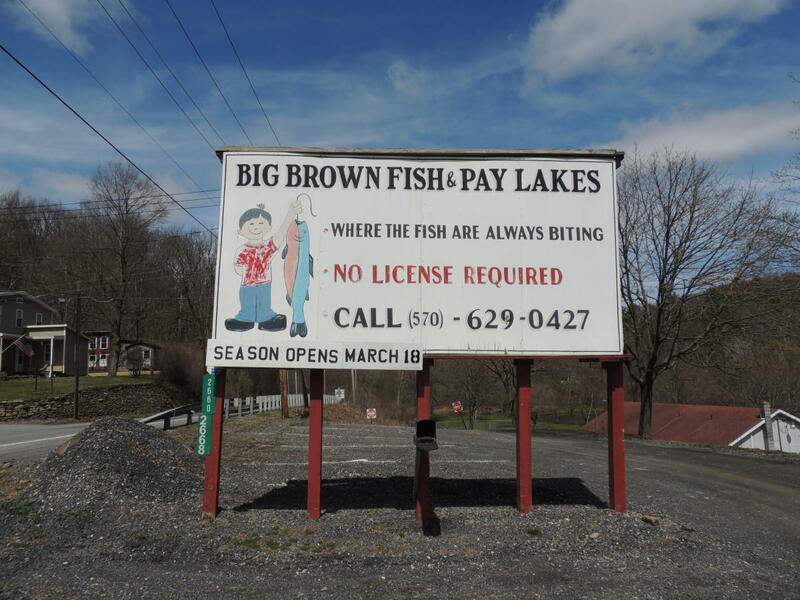 All the fish caught at Big Brown must be paid for; catch and release is strictly prohibited. The fish will keep up to three days in the refrigerator, and up to 60 days in the freezer. There is no time limit while fishing at Big Brown Fish & Pay Lakes, so be sure to pack a lunch and maybe some board games if you bring kids. Their hours extend during the summer season, and they are open on holidays. Check out our Snapchat story below for an inside look at fishing Big Brown! Special thanks to Charlie Conklin, owner of Big Brown Fish & Pay Lakes, for giving us pointers for this post! In Pennsylvania, trout fishing requires both a fishing license, and a trout stamp for residents and non-residents over the age of 16. 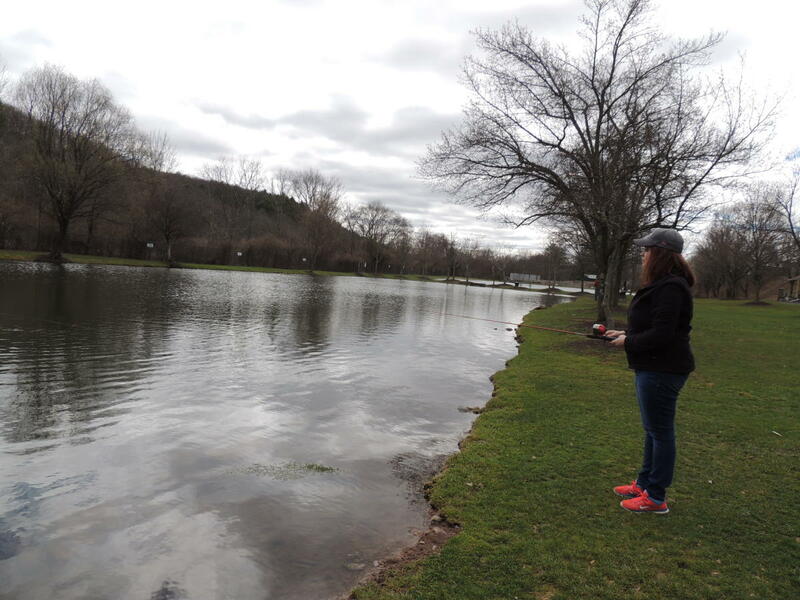 Local fish & pay lakes, however, do not require a license, along with some other resorts and campgrounds that have their own lakes on property. Purchase your fishing license for the 2017 season here. Licenses can also be purchased at Fishing License Agents offices, County Treasurer offices, or Fish & Boat Commission offices. 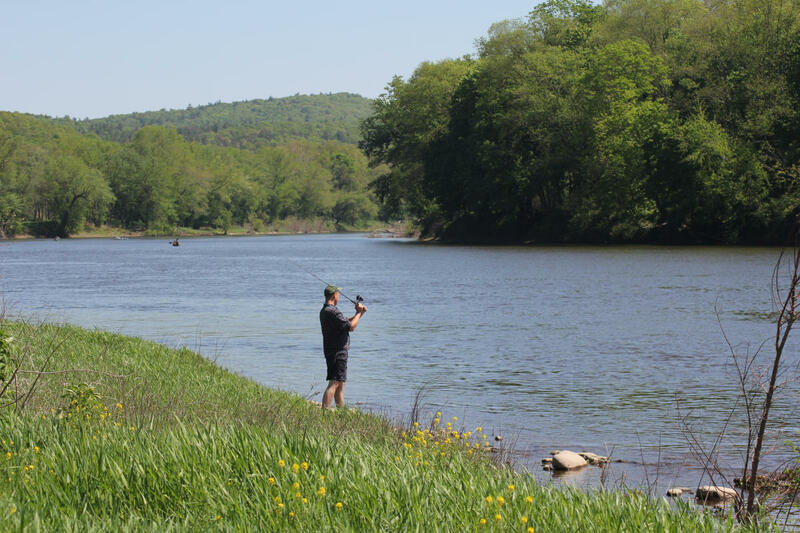 While guide services and state parks require a license by the PA Fish & Boat Commission, resorts like Malibu Dude Ranch and Pocono Manor allow you to catch and release without a license. Interested in more Pocono Mountains fishing? Fishing equipment is also available for rent through the Lake Wallenpaupack Visitors Center&apos;s Fishing Tackle Loaner Program. Visiting for the weekend, or just want to get your feet wet? You can even purchase a one, two, or three-day license at Dunkelberger’s Sports Outfitters. Enjoy free fishing days on May 28 and July 4! Rachel Camaerei is the Communications Coordinator for the Pocono Mountains Visitors Bureau. As a native to the Pocono Mountains, Rachel works to rediscover the beautiful place she calls home. Keep up with her blog posts on our website and social media platforms, or reach out to her at rcamaerei@poconos.org. Looking for activity ideas? Sign up to receive the monthly Pocono Mountains Newsletter.